A Portuguese publication has revealed that Israeli intelligence service Mossad was behind the assassination of Iranian nuclear scientist Majid Shahriari. Top Mossad officials gathered at the spy agency's headquarters in northern Tel Aviv and said the killing of Shahriari would be Mossad's last covert operation under its current director, the Expresso weekly wrote in an article. A British expert, who has recently authored a book on the Israeli intelligence apparatus, also says Israel was behind the operation to hinder Tehran's nuclear program. Gordon Thomas told the British daily Sunday Times the director that Mossad agents were talking about was Meir Dagan who is about to retire soon after serving as Mossad chief for eight years. All attacks carried out in recent years against individuals linked to Iran's nuclear program were organized by Kidon, the department of Mossad responsible for assassination and kidnapping, Thomas said. Meanwhile, the Hebrew-language newspaper Yediot Aharonot has revealed that Kidon comprises 38 agents, including five women. They speak different languages, including Farsi, and travel to Iran with fake identities. 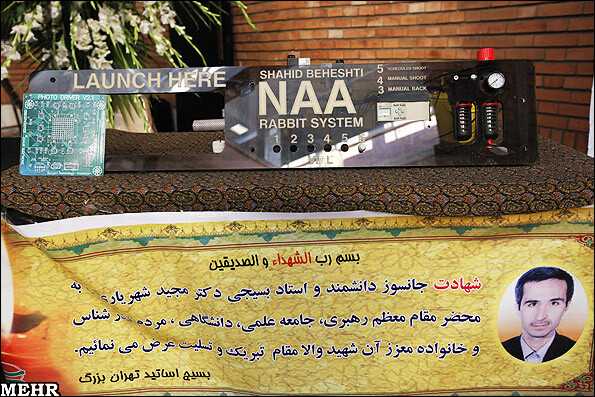 A week before Shahriari was murdered in the Iranian capital, he had been indentified and traced by a Mossad agent. "We have no other alternative," Thomas quotes Mossad sources as saying. Tamir Padro is to replace Meir Dagan as Mossad director. He says fighting Iran's nuclear program is among his top priorities. 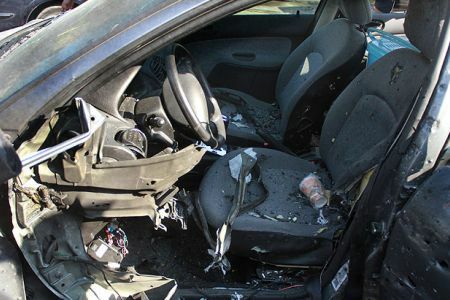 On November 29, unidentified terrorists attached bombs to the vehicles of Iranian university professors Majid Shahriari and Fereydoun Abbasi, and detonated them. Professor Shahriari was killed immediately, but Dr. Abbasi and his wife sustained minor injuries and were rushed to hospital. Iran blames Israel and Western powers for the terrorist attacks.